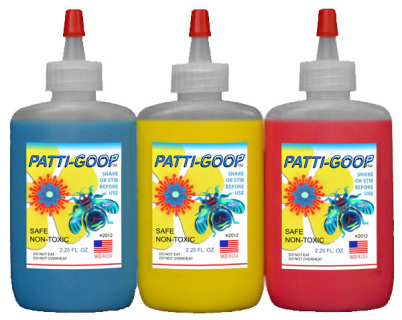 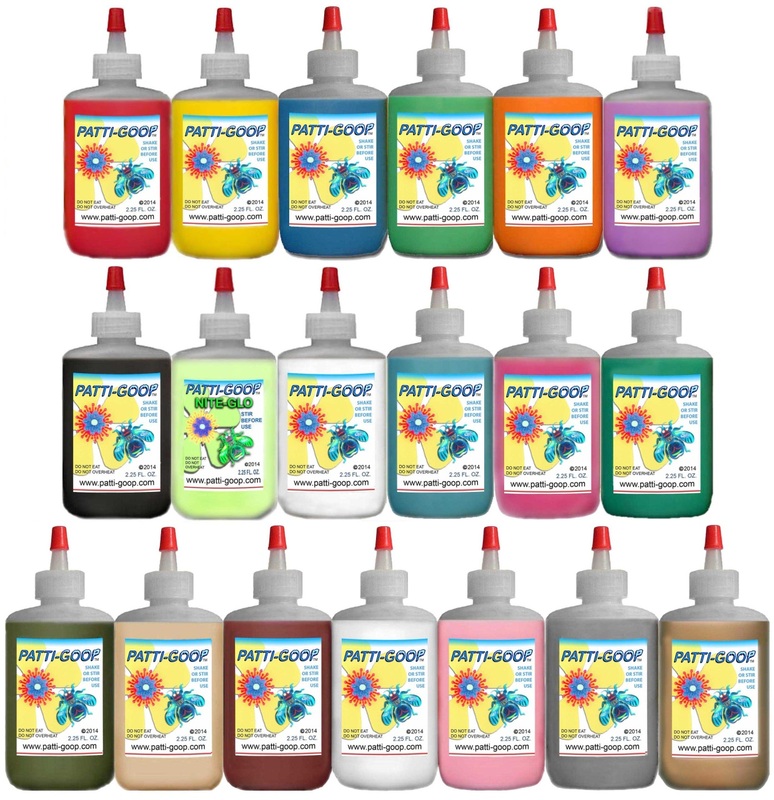 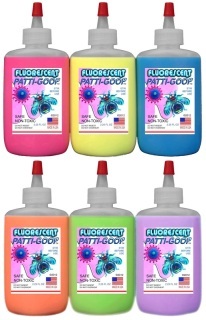 Patti-Goop comes from the same manufacturer as Mattel used in the 1960's. It has the reminiscent smell and that special rubbery feel, that so many of us remember from our childhoods. 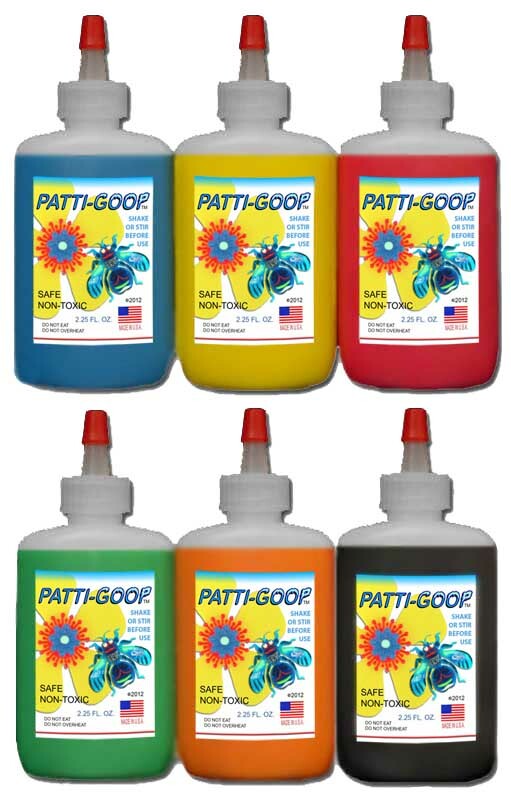 Patti-Goop works great in the original Thingmaker ovens from the 60's, or the newer Bugmaker ovens. 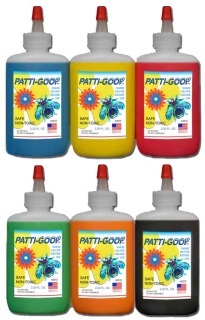 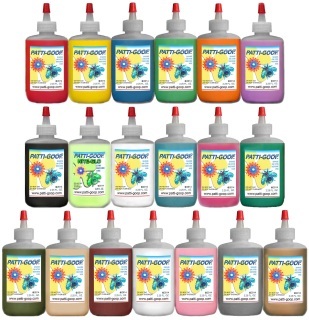 Patti-Goop works with other brands of goop and in any oven made for baking goop. 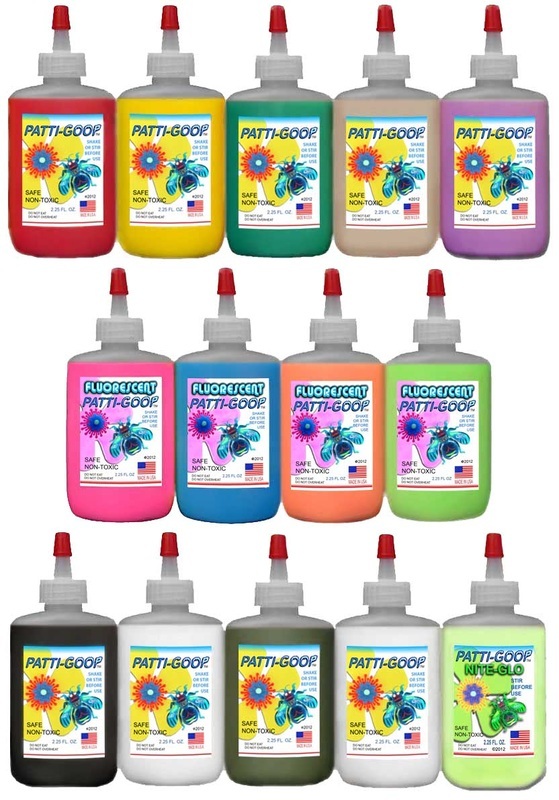 I formulate and mix all of the colors by hand. 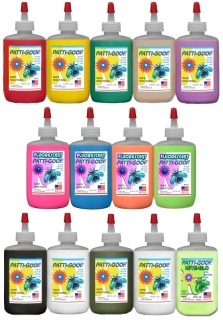 I guarantee 100% customer satisfaction on all my products, or your money back. 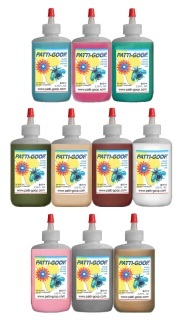 All bottles are 2 fluid ounce. 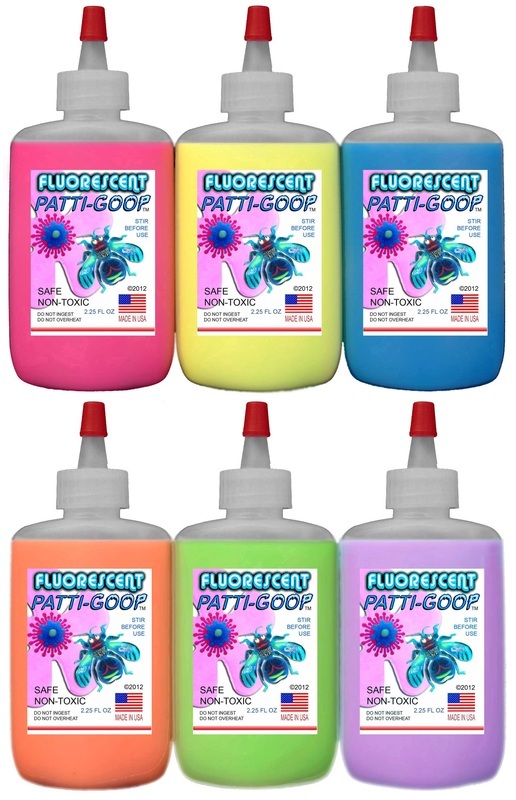 This set includes all 19 colors shown in photo. 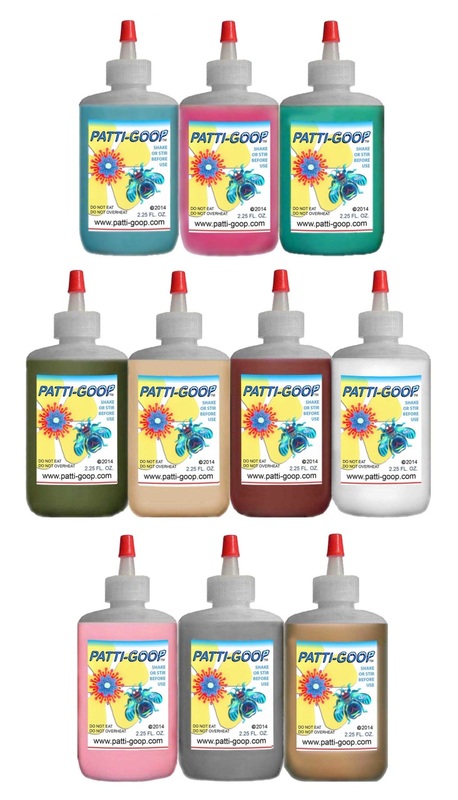 RED- VIOLET, GREEN-BLUE, (similar color to 1960's green), SOLDIER GREEN, FLESHTONE, DRIED BLOOD, CLEAR, PINK, GRAY, and BROWN.